Jacobus Clemens non Papa (1512–1555/56?) is said to be born in Zeeland. He was a priest and a ‘bon vivant’, because during his life he visited many Dutch cities and he had many sponsors! His nickname “non Papa” served to distinguish him from a poet from Ieperen and his contempory Jacobus Papa. This renaissance composer from the French-Flemmish School can be acknowledged as one of the greats from the so called “post-Josquin” generation. During his career of only 20 years he has composed a tremendous number of polyphonic musical pieces. 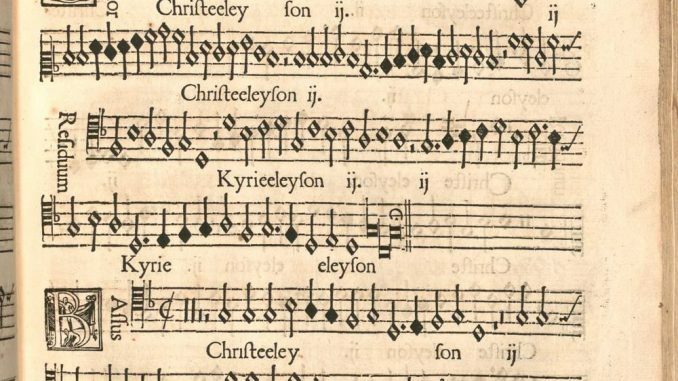 Because of this he’s considered one of the most productive and gifted composers of the 16th century. As a contemporary of Adriaan Willaert, among others he’s acknowledged as the 4th generation of French-Flemmish polyphonists. His compositions were of such an exceptional high quality that he was in high demand by the most important religious and political powers of his time. Within his generation Clemens non Papa was a somewhat unusual character: he was the only composer that didn’t acquire his musical fame through the foreign courts or kathedrals, but within the borders of the ‘Low Lands’. Despite his “nomination” as successor of Josquin Desprez (1450/55 – 1521) he wasn’t able to match the level of his great example and predecessor or composers from the Italian high renaissance.